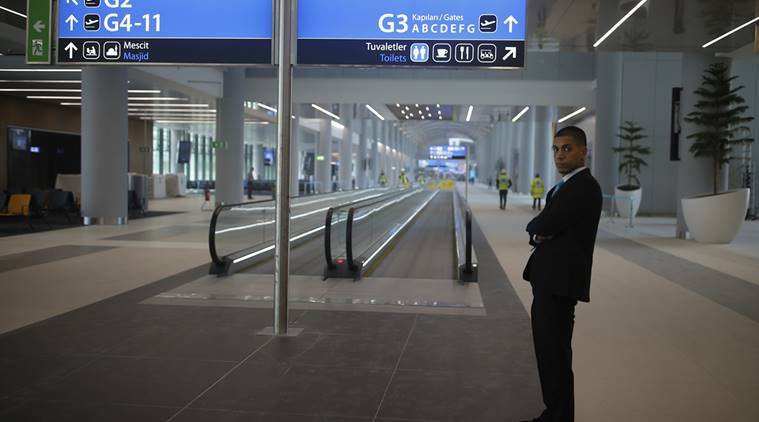 Erdogan is opening what he claims will eventually become the world's largest air transport hub on the 95th anniversary of Turkey's establishment as a republic. Istanbul: Recep Tayyip Erdogan has held plenty of grand opening ceremonies in his 15 years at Turkey’s helm. On Monday he will unveil one of his prized jewels — Istanbul New Airport — a mega project that has been dogged by concerns about labour rights, environmental issues and Turkey’s weakening economy. At its completion in ten years, it will occupy nearly 19,000 acres and serve up to 200 million travellers a year with six runways. That’s almost double the traffic at world’s biggest airport currently, Atlanta’s Hartsfield-Jackson. All aviation operations will move there at the end of December when Istanbul’s main international airport, named after Turkey’s founder Mustafa Kemal Ataturk, is closed down. Ataturk Airport now handles 64 million people a year. On the Asian side of the city, Sabiha Gokcen Airport handled 31 million passengers last year. It will remain open. Megaprojects in northern Istanbul like the airport, the third bridge connecting Istanbul’s Asian and European shores and Erdogan’s yet-to-start plans for a man-made canal parallel to the Bosporus strait are also impacting the environment. The environmental group Northern Forests Defense said the new airport has destroyed forests, wetlands and coastal sand dunes and threatens biodiversity. The five Turkish companies that won the USD 29 billion tender in 2013 under the “build-operate-transfer” model have been financing the project through capital and bank loans. IGA will operate the airport for 25 years. Financial observers say lending has fuelled much of Turkey’s growth and its construction boom, leaving the private sector with a huge USD 200 billion debt. With inflation and unemployment in Turkey at double digits and a national currency that has lost as much as 40 percent of its value against the dollar this year, economists say Turkey is clearly facing an economic downturn.